Invest in your poker game with PokerTracker 4, the industry leading analysis, tracking, and heads up display software for online poker players since 2001. PokerTracker 4 delivers the edge you need to focus and improve your game while simplifying your online playing experience. It is the standard for most poker players and is available for all the major poker rooms and networks. 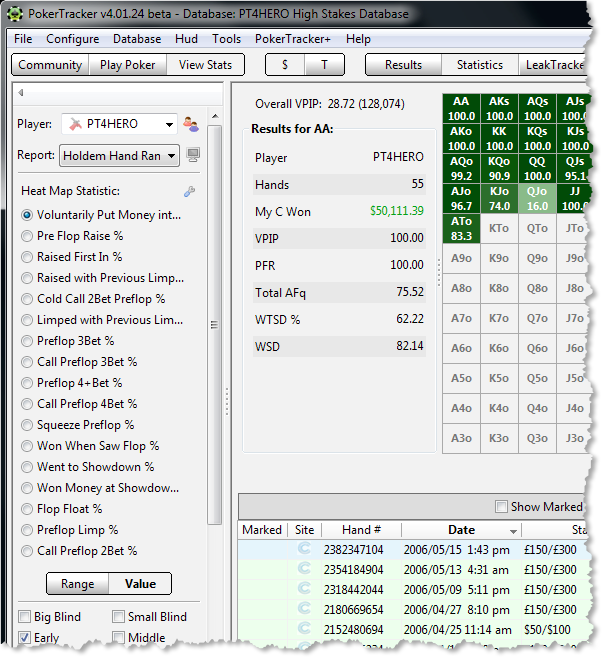 Get real-time analysis on your opponents for tournaments, allowing your to make better, smarter decisions and to win more pots. Review your results and analyze your play or track your progress as you build your bankroll. The full customization allows you to personalize the software to meet your needs - whether beginner or grinder.